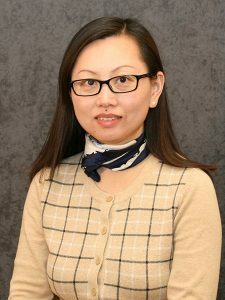 Ying Li joined Iowa State University’s Department of Civil, Construction and Environmental Engineering (ISU CCEE) this week as the department’s new fiscal coordinator. Li holds master’s degrees in both accountancy and real estate management from California State University and the National University of Singapore, respectively. She also holds a bachelor’s degree in finance from Nankai University of China. Li’s professional interests include the areas of accounting, finances, budgeting and post-award management. She is a lifetime member of Beta Gamma Sigma and a certified public accountant. “I am excited to work in CCEE, a cohesive department with nationally accredited programs, and I look forward to exploring more in this new position and taking new challenges,” Li said. Li first came to Iowa State in Jan. 2016. In her spare time, she enjoys traveling, baking, gardening, and spending time with her family and friends.